Faith Centre was designed to offer facilities in a pleasant environment for a range of activities and events. 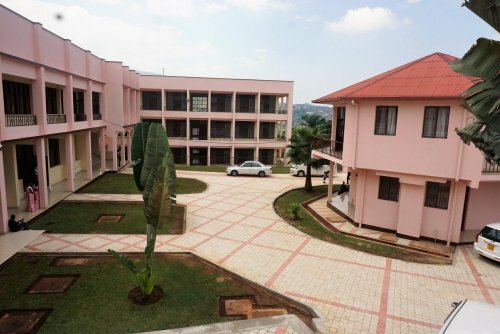 With its conference rooms, office spaces, restaurant and other amenities, the project aims to contribute to sustainable development for the Province of the Anglican Church of Burundi. Canon Benjamin Musoke, on behalf of Trinity Church Wall Street that supported the project, said at the official opening of the Centre on the 23rd March that it is a shared joy for Trinity Church Wall Street and the Province as a project of this kind seemed very hard to achieve but what seemed impossible has become possible. He expressed his thanks to the Bishops of the Anglican Church particularly the Archbishop Emeritus who was very supportive during the initial stages of the project. 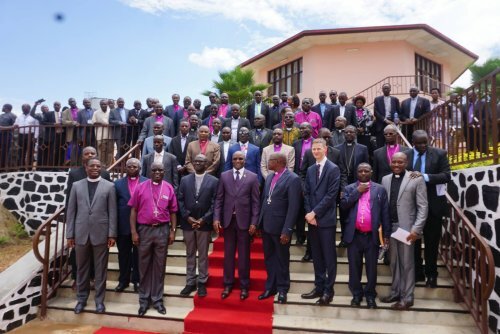 Some members of a delegation who were in Bujumbura for a two week workshop to reflect on sustainable development for the Church in Africa appreciated the initiative of the Province of the Anglican Church of Burundi. A delegate from Ghana said that what he had seen in Burundi was a source of inspiration to many fellow Africans. On behalf of the Anglican Church of Burundi, Archbishop Martin Blaise Nyaboho expressed gratitude to Trinity Church Wall Street and the United Thank Offering (UTO) for having made what seemed a dream a reality. “We appreciate so much the support of Trinity Church Wall Street and we wish that this step we have reached will enable us to reach further in the future”, he said. The First Deputy President of the Republic of Burundi who officially opened the Centre thanked the Anglican Church of Burundi for its contribution to the people of Burundi and extended gratitude to all the partners of the Province. H.E. Gaston Sindimwo said that the Government of Burundi will always appreciate initiatives that aim to develop Burundian society.